We've mentioned before the RATP plan to convert its entire bus fleet to low emission vehicles by 2025 with electric and gas powered vehicles. While searching for something else I found some french newspaper stories on RATP's trials of electric buses. Note the articles are in French so you will have to practice your French skills if you have them or use online translation tools. The first route with a full conversion to electric buses is their 341. Further trials are planned including an electric bendy bus up to the end of 2017. RATP have launched the procurement process for further batches of all electric buses from different manufacturers. 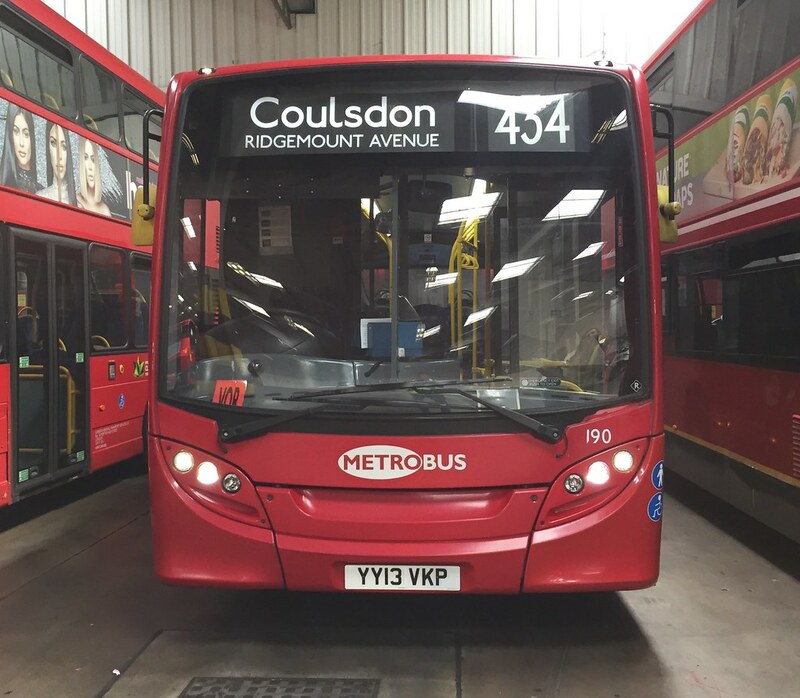 They are also going to test buses similar to those on their route 341 but with terminal charging facilities (similar to TfL's route 69 trial). From 2018 RATP will issue tenders for large scale fleet replacement. And there is now a new bus from Alstom called the APTIS (no, not a BR ticket issuing machine from the 1980s) which will enter service from June. This one looks slightly bonkers as it incorporates 4 wheel steer with the wheels at the corners of the bus! Routes 39 and 42 are already Hybrid, they have Heuliez GX337's which I must say are brilliant buses when I used them while I was out there last month, but I think they use the same hybrid system as the E400MMC, as they sounded very similar. I'm very surprised though that there are no double deckers in Paris, apart from tour buses. Double deckers in continental europe are very rare. Lisbon used to have them including trolleybuses plus Vienna (long gone but I did see them in the 1980s) and, of course, Berlin. There are some more on Post Bus work in Switzerland. A lot of roads have restricted height bridges meaning double deckers are to a constrained height - try riding a Berlin DD and not banging your head on the ceiling if you go upstairs. I'm not too hot on my Parisian transport history but if they ever ran double deckers it would have been in the early days of bus services. After all the bus service was invented in France and imported to London! I've no awareness of them on mainstream service anywhere in France. I suspect if you dig through the history of european bus service you will see a very long history of single deckers, single decks with trailers (some trolleybus networks like Lausanne still have them) and then articulated buses. There is also the long standing issue that Europeans seem more tolerant of buses with fewer seats and more standee capacity hence the existence of multi doored buses. The UK has tended to have more seats on its urban transport and railways than elsewhere hence why everyone screams the house down when an operator deigns to improve capacity by removing seats. That's somthing I've wondered about on the trips i've made to Paris. There are no low bridges That I can remember. Maybe it's just the volume of passengers or parisians favour the Metro? Do we have any Parisians who contribute to the Forum? Paris operated some double deck buses in the 60s/70s. Strange looking things, they resembled two French Standards glued one on top of the other. They weren't loved by either RATP or the public, and were gone within a decade. Calais, certainly until recently, operated some 4m high double deck semi-coaches on its coastal route 1. Both routes are indeed fully Hybrid, those Heuliez's are brilliant buses. When I was in Paris last week I used the 42 at night from Champ De Mars to Gare Du Nord and it was a great journey, the bus was very comfortable and quick. Quite a few routes in Paris have a partial Hybrid allocation, another I've been on is the 31 from the Arc De Triomphe to Gare Du Nord, the route is operated by bendies and I deliberately missed the Citaro K just to get a chance to ride Hybrid Iveco and I was lucky, although this meant waiting for two 31s to go past and a 20 minute wait. The bus itself was brilliant and looks more appealing than the Citaro K IMO. Another bus I wanted to ride was the Hybrid MAN Lion's City on the 21 but didn't get the chance. The Heuliez's I were on were also on route 42 . Went from the Eiffel Tower to near the terminus of Georges Pompidou Hospital. They look like a mix of an E200MMC and a Scania OmniCity SD at the rear. Their seating arrangement though is a bit like the 507/521 SEe's. I would love to see some of these being ordered by London United! Route 91 (I think) has the bendy version of the Heuliez hybrid, but these ones have more or less the same rear as the Renault bodied Irisbuses they replaced. Yes I've taken same trip on the 42. Quite a lovely route . Parisians have a love / hate affair with the #ratp , renowned for some aggressive ( sometimes armed !) revenue protection and their own police ( their version of British Transport Police ). I too would like it if RATP Dev London purchased some of these vehicles. Maybe single decking Central London routes is a way of cost cutting , reducing the number of seats but maintaining the links , rather than TfL chopping up the entire network. No thanks - we've already tried that and it failed miserably and I'm not referring to Artics either. Can you imagine single deck 3's, 59's & 159's outside of the Central area cramped up with passengers leaving others behind. Well obviously not those routes. Bus travel in Paris is rising compared to London. The 42 is indeed a pleasant route. What I also like in Paris is the fact that a lot of drivers greet passengers upon entering the bus. Regarding your second point, I certainly don't advocate converting Central London routes to full size SDs. However, maybe some popular SD routes can be converted to full size SDs if they can accommodate them.